Aura4You multimedia software package includes 12 programs, many of them provide greate solutions for iPad. You can use Aura iPad DVD Ripper to rip DVD to iPad videos, use iPad Video Converter to convert videos for iPad, download and convert YouTube videos to iPad using Aura YouTube to iPad Converter, edit videos and transfter to iPad with iPad Video Editor, record Flash videos to iPad using Flash to iPad Converter, etc. Download Free Trials of iPad tools! - Download Aura iPad DVD Ripper, iPad Video Converter, iPad Video Editor, YouTube to iPad Converter, Flash to iPad Converter and more. Aura DVD Ripper, the versatile iPad DVD Ripper, rips DVD movie to iPad and many other portable media devices like iPod, iPhone, PSP, Zune, Wii, Xbox 360, Sandisk Sansa, mobile phones, etc. See all supported media devices of the iPad DVD Ripper. Aura iPad DVD Ripper supports 30+ common video formats as input, it converts videos to MP4, WMV, MP4, 3GP, FLV and many more for playback on your computer, iPad and other media players. It's possible for the Aura iPad DVD Ripper to extract audio from DVD movie or video file. You can rip DVD to AAC, MP3 or WAV for iPad or WMA, OGG and M4A. And the iPad DVD Ripper enables you to edit the DVD, for example, cut it into several parts, add video effects, etc. Besides, Aura iPad DVD Ripper can directly download YouTube videos and convert to iPad and others. It just requires inputing of the URL of YouTube videos and selecting iPad or other output profile and click Convert button, batch of YouTube videos will be downloaded and converted to iPad at the same time. After adding videos to the iPad Video Converter, just choose one iPad output profile from four above, then press the Convert button, wait for the conversion finishes, then transfer the videos to your iPad. It's just this simple! Now use iPad 3G video converter to convert videos for your iPad 3G and any other media devices. If you are looking for a tool that will not only download but also convert YouTube videos to iPad, then Aura Video Converter, the powerful YouTube to iPad Converter, is your best choice. To download and convert YouTube videos to iPad, you just need to click the YouTube button, copy the URL of YouTube videos and paste into the desired place, choose iPad from the output profile list, then hit the Convert button to start the conversion. When it finishes, click Output Folder button to get the converted videos and transfer to your iPad and enjoy it anytime on the go. You can download and convert any format of YouTube videos. Wether standard YouTube videos, or HD YouTube videos like 720P and 1080P, Aura YouTube to iPad Converter download and convert them all. 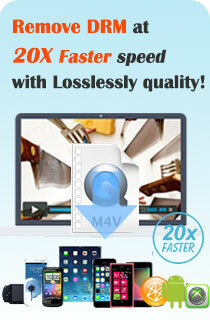 You just need to choose one kind of video quality tpy in the option, then download and convert to iPad. If you only want to download YouTube videos to save to your PC, you can simply use Aura YouTube Downloader. Want to create your own videos and watch it on your iPad? Use Aura Video Editor, the best iPad Video Editor tool on today's market. Aura iPad Video Editor enables you to add videos, audios, photos and subtitles, apply with video transitions and effects, then convert to other video formats for iPad and many other media players. The iPad Video Editor now supports converting videos to standard DVD disc and Blu-ray disc. Applying your videos with numerous wonderful video transitions and effects, overlaying videos, adding subtitles, photos and audios...with Aura iPad Video Editor, you can create a professional looking video on your own and watch on iPad and other media players like iPod, iPhone, PSP, PS3, Zune, Sandisk Sansa, BlackBerry, Nokia, HTC, and many more. The iPad Video Editor is a very easy-to-handle video editor and converter, it provides two unique editing modes: StoryBox and Timeline. Both of them let you edit your video with ease and fun! iPad doesn't support displaying Flash SWF files. If you want to watch Flash files on your iPad, you will need Aura Flash to Video Converter, the powerful Flash to iPad Converter. Aura Flash to iPad Converter converts Macromedia Flash SWF files to MP4, WMV, AVI, MPEG1, MPEG2, 3GP, FLV, etc. for playback on iPad, iPod, iPhone, PSP, PS3, Zune, mobile phones and many other media players. To convert Flash to iPad, you just need to add the Flash files to the Flash to iPad Converter, drag & drop to the preview window, click Rec button twice to set the start and end point, then the conversion of Flash to iPad will automatically begin. For there's no iPad preset profile in the Flash to iPad Converter, you need to customize it yourself. It'll be simple and quick, firstly choose iPod MPEG-4 Movie as output, then change the video size according to the specific size of iPad video playing. The iPad is a tablet computer designed and developed by Apple. It is particularly marketed as a platform for audio and visual media such as books, periodicals, movies, music, and games. This PCWorld review tells you why you should buy yourself a iPad for it'll totally worth it. Take a look at Apple's latest creation, the iPad. Go to our download center to download all these iPad tools. Do you want to own all of the five iPad tools including iPad DVD Ripper, iPad Video Converter, YouTube to iPad Converter, iPad Video Editor and Flash to iPad Converter with no limitations? Now you can get all of Aura4You 12 programs at just $ 49.95 $ 24.95 for a lifetime license. Buy now!